TechConnect World brings together over 5,000 business and technical professionals including leading researchers, buyers, entrepreneurs, corporate business developers, investors, service providers, commercialization/tech transfer officers, industry analysts and members of the media. 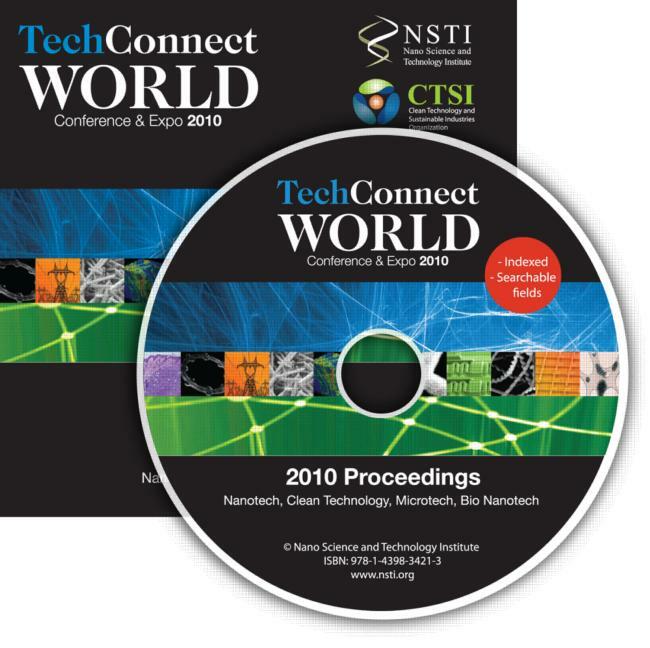 TechConnect World conferences have built a tradition of being the most prestigious forum in the world for leading scientists in the field, and the 2010 gathering is no exception. Top contributors offer an up-to-date global perspective on the latest developments in Clean Technologies, Nanotechnologies and Biotechnologies, with a mission to match innovative solutions to real-world technology challenges. Providing the most complete record of current accomplishments in this burgeoning area, information from past conferences has been compiled into authoritative and comprehensive compendiums and made available (along with pricing information) here on our site. Contents of the proceedings for this year's conference and expo will be forthcoming.